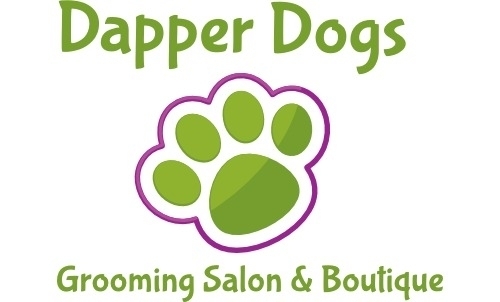 Here at Dapper Dogs Grooming Salon & Boutique we provide a first class service. 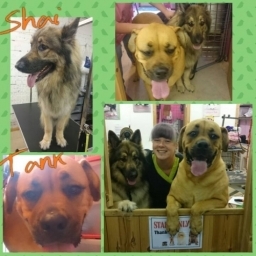 We are here for you and your precious dogs needs. We offer a range of grooming services from nail clipping to full grooms and everything in between. Just a bath & blowdry? 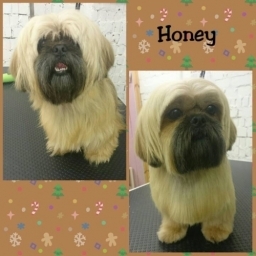 Maybe you need to add on a foot trim, or a face tidy between grooms. No problem! 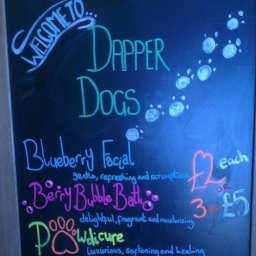 Ask about our special offers and added pamper options. 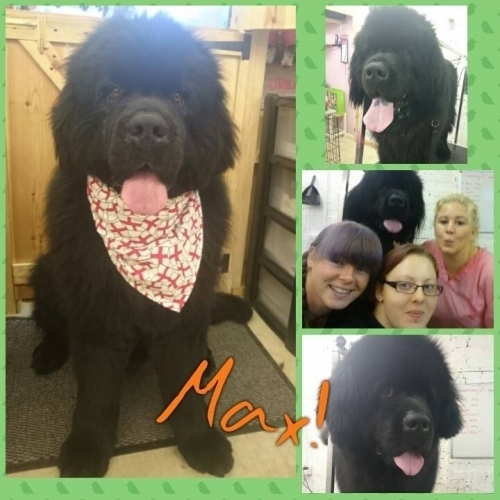 Our qualified Groomers have experience prior to working for Dapper Dogs in many aspects of canine work. Including dog walking, dog day care centres and other grooming salons. Both Groomers have attended Pet first aid courses and Dapper Dogs is fully insured. We have an excellent set up which allows us to cater to larger breeds of dogs and those who need a little extra understanding or encouragement when it comes to grooming. We have more than one person on site at any time to assist and provide extra support should it be required, as well as a walk in bath. 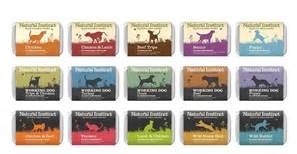 Concerned about your elderly dog? 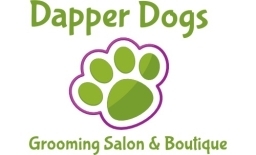 We have many older clients here at Dapper Dogs both new and those who have grown with us. 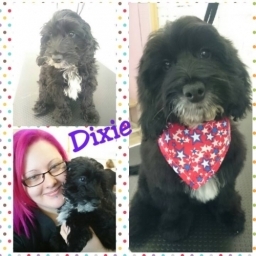 We provide a caring and calm environment for your dog whilst they are in our care we treat them as our own. We have specific equipment to aid in making the grooming process as safe and comfortable for your pet as possible. 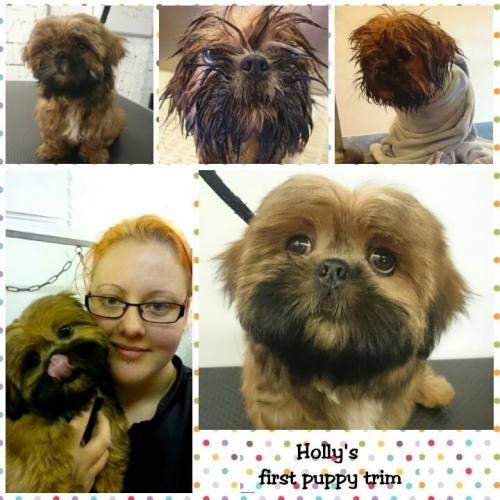 We encourage puppies to visit the grooming salon from a young age to familiarise themselves with us, the sounds and scents of the salon. 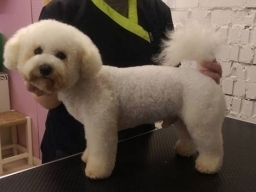 We will work with you to build up a positive and relaxed association for your dog when it comes to grooming. 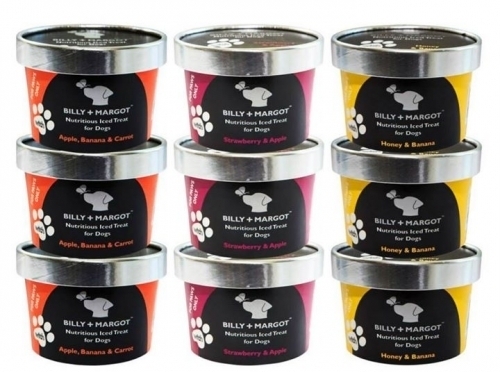 Aside from grooming we also stock a variety of Dog foods including the popular Raw Diet Natural Instinct; as well as a selection of natural treats, toys, coats/accessories and lead/collars. 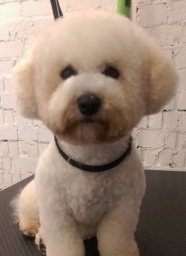 We can also advise on and sell you the correct tools to use at home to keep your dog in tip top condition between grooms. Feel free to pop in and see us, or give us a call for more information or to book your dog an appointment. We look forward to hearing from you and meeting you and your furry friends.